The 24th Overwatch Hero Has Arrived | Nerd Much? The 24th Overwatch hero has arrived and she’s almost exactly what fans have been speculating since the fictional interview from in-game news network Atlas. As it turns out, even her “Things to Get List” revealed more than we thought, as the first item reveals the model and the third is Orisa’s main weapon. Halt! : Orisa launches a graviton charge which she can detonate, slowing nearby enemies and pulling them towards the explosion. As overpowered as Orisa might seem, according to Overwatch developer Jeff Kaplan, she’s another “anchor tank” and the team wanted “another tank that teams could build around or position around.” If you can’t wait to play Orisa, she’s available on PTR right now. 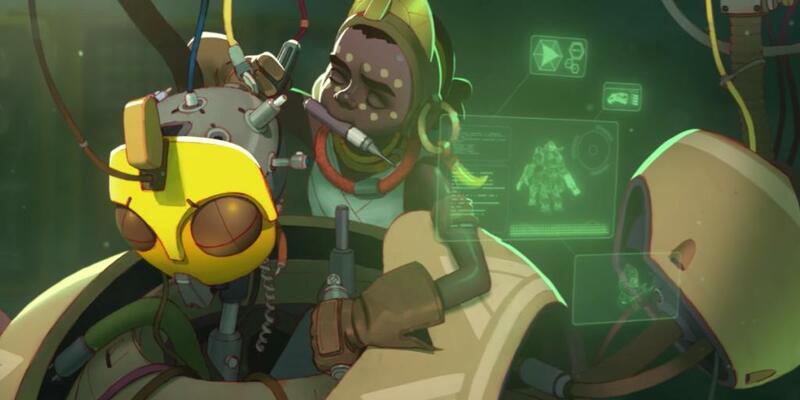 Do you think Orisa will fit right into the Overwatch team? Let us know in the comments below!